COMMUNICATE WITH YOUR CUSTOMERS, SEND BULK SMS WITH A GREAT SAFETY, RELIABILITY, EFFICIENCY AND CONFIDENTIALITY. More and more banks, banks provide services to the mobile phone to their customers. We must take advantage of features that offers the mobile phone to offer new services and provide more value to existing ones. The key elements of the banking sector are safety, reliability, efficiency and confidentiality. Thanks to send text messages, you can communicate with your customers in a fast, safe, effective and also customized way. Text messaging via mobile phone began to be used in the banking sector as a inexpensive way to send notifications to customers about new products and services. 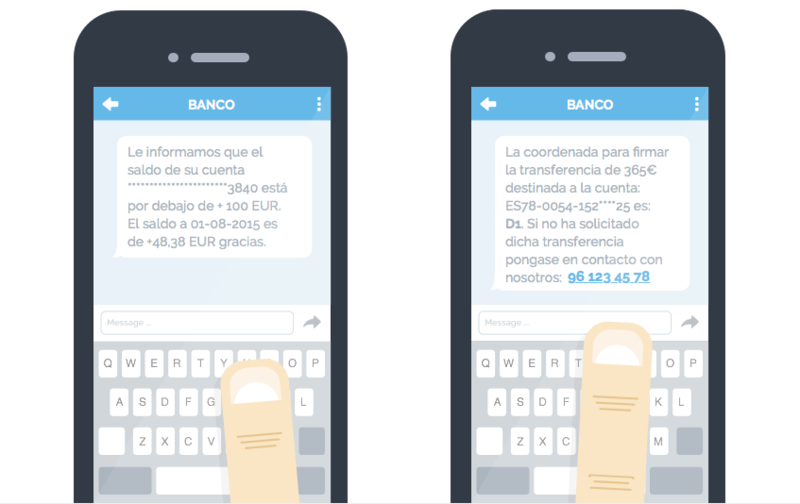 Nowadays, SMS have become a very powerful tool for banks, since bulk messaging are used to provide many services. Below are some examples of the use in the financial sector. Remember payments and expiration along with the date and time. Report about promotions and new products that can attract customers. Send messages conducting surveys to determine the degree of customer satisfaction with the services offered. There are no technological barriers. Any device can send or receive SMS without needing an internet connection. El SMS es simple y familiar. Los usuarios conocen esta herramienta y la utilizan de forma habitual. Communication via SMS is safe. The use of the web pages in the banking sector is scaring users: cybercrime, bank phishing, viruses, fraud, etc. Using the mobile feels much safer .